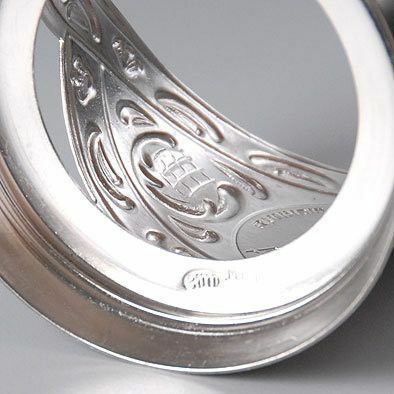 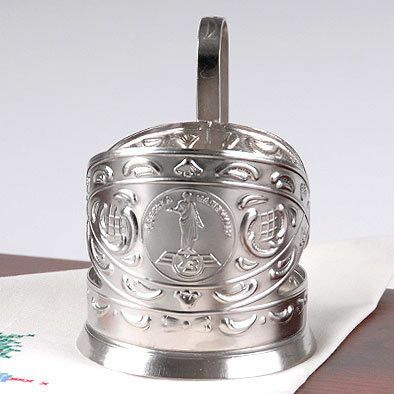 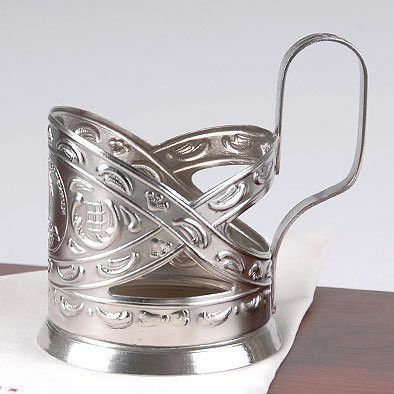 This is an original chrome plated Russian Railroad Tea Glass Holder (podstakannik). 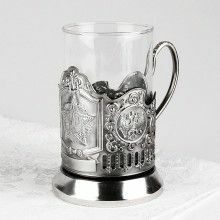 It features Duc de Richelieu (founder of Odessa City, Ukraine) on the front and detailed designs throughout with a stamp of authenticity on the bottom. 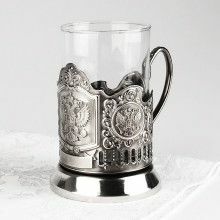 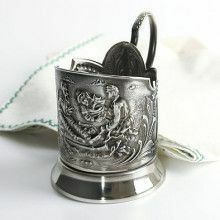 Now you can enjoy your favorite hot tea in the traditional manner, with this Russian Tea Glass Holder. 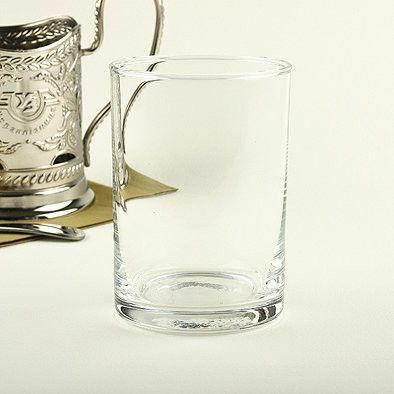 This gift set includes one Tea Glass Holder and one clear tea glass.